We're Hiring a Cosmetology Educator! The Educator Candidate position is a part of our Educator Training Program that includes hands on experience and one on one training by our Casal Aveda Institute Educators. Posted on December 27, 2017 by Geof Pelaia and filed under employment, news. 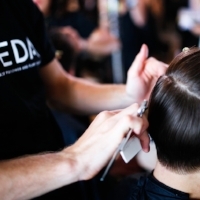 Casal Aveda Institute students will be performing Aveda’s complimentary services. Posted on December 3, 2017 by Geof Pelaia and filed under event, news. The station rental is available for 4 to 5 days a week, ideally. Posted on October 16, 2017 by Julie Hill and filed under news, jobs. 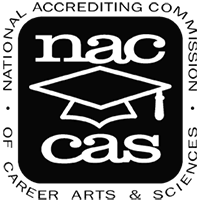 This hire will be responsible for various recruitment activities related to student enrollment and student placement. Posted on October 16, 2017 by Geof Pelaia and filed under employment, news. Purchase a gift card and you'll be entered to win! Posted on October 13, 2017 by Julie Hill and filed under news. The team is seeking a very energetic person, with the desire to learn new things. Must fit in with current staff. Posted on October 10, 2017 by Julie Hill and filed under jobs, news. Experienced professionals with a clientele are invited to apply. Posted on September 6, 2017 by Julie Hill and filed under jobs, news. The Beauty Changes Lives Foundation and Murad announced 10 esthetics students from across the U.S. to be awarded the Beauty Changes Live Murad Esthetics Scholarship. Posted on August 17, 2017 by Geof Pelaia and filed under news. Salon Mingle is looking for new Stylists for their Associates Program! Sela Salon and Spa Aveda is looking for a stylist who wants a full or part time commission-based position. Posted on August 15, 2017 by Julie Hill and filed under jobs, news. Beginning September 26, evening classes will be available for the Hair Designer, Cosmetology, and Advanced Cosmetology programs. Posted on July 21, 2017 by Geof Pelaia and filed under news. "Never say no, and never ever ever turn down an opportunity to learn something new from anyone." Posted on July 13, 2017 by Geof Pelaia and filed under news. Beauty Changes Lives Scholarships Announced! 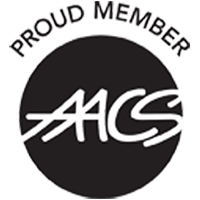 Beauty Changes Lives, established by AACS, helps to make dreams come true with scholarship opportunities for those looking to pursue and further develop a career in beauty & wellness. Posted on July 11, 2017 by Geof Pelaia and filed under news. Congratulations to Carissa Flint and Walt Wood, the recent winners of the coveted Casal Aveda Institute Scholarships. Posted on May 16, 2017 by Geof Pelaia and filed under news. The part time Educator position is a part of our Educator Training Program that includes hands on experience and one on one training by our Casal Aveda Institute Educators. Posted on April 14, 2017 by Geof Pelaia and filed under employment, news. Five scholarships are available from Beauty Changes Lives, whose foundation has awarded over 300 scholarships to new and prospective students. Posted on March 14, 2017 by Niki Napier and filed under news. The customer service position at Casal Aveda Institute is available Tuesday thru Saturday with some evening hours at front desk and in retail area. Posted on January 19, 2017 by Geof Pelaia and filed under employment, news.